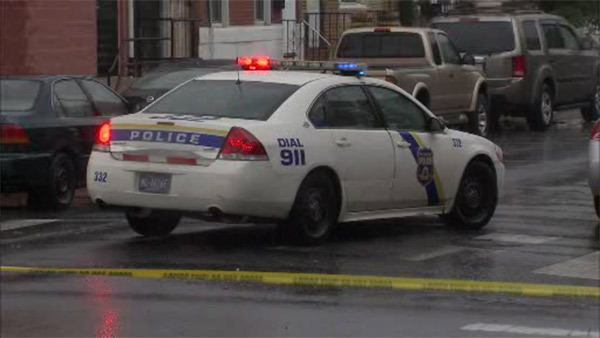 Teen shot, killed in car in South Phila. SOUTH PHILADELPHIA (WPVI) -- Police say an 18-year-old male was shot and killed while sitting in a car in South Philadelphia. It happened around 3:50 Friday afternoon along 5th and Wolf Streets. Investigators say the victim suffered two gunshot wounds to the chest. He was found sitting in the driver's seat of a silver Mercury Milan that was still running. The victim was taken to Thomas Jefferson Hospital where he was pronounced dead. Due to shell casings found inside the vehicle, police say the victim was shot by someone who was sitting in the passenger seat. The suspect shooter fled the scene. No word yet on a motive.